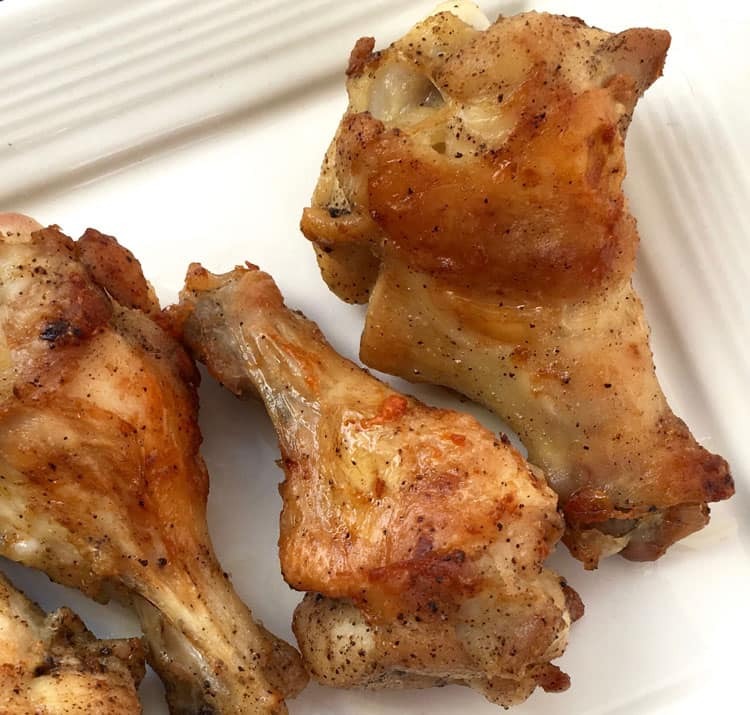 There is something about a simple Lemon Pepper Chicken Wings recipe that screams comfort food. Maybe its the vision chowing down on heaps of wings dipped in hot sauce at a football party…but for some reason wings equal simplicity when it comes down to it. We’ve never been shy about sharing chicken recipes around here. And while we always err on the side of ease, we do like to mix it up a bit. We’ve made a delicious Chicken Salad Sandwich that is the best around. Our Dijon Grilled Chicken and our Grilled Chicken Halves are also both real winners. 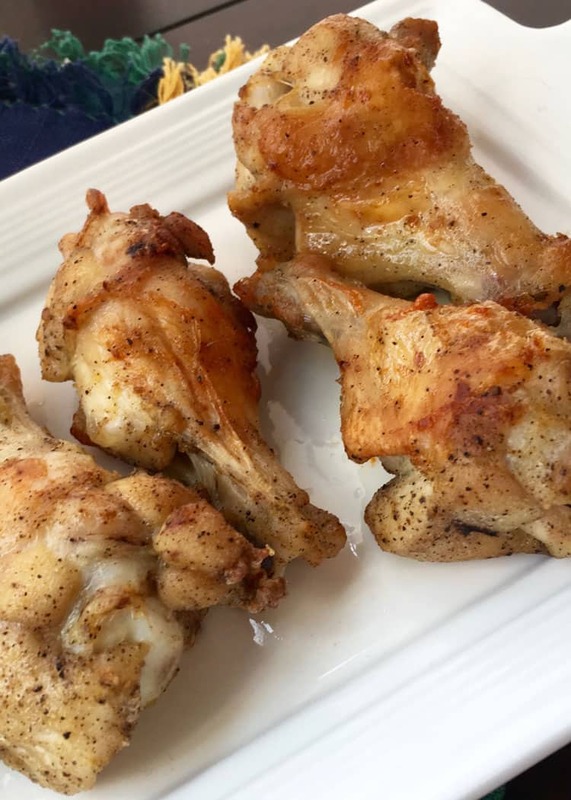 If you like lemon flavor in combination with pepper, you’ll love these chicken wings. We tend to add pepper to nearly everything, but it adds depth to flavor that few other spices can really compare to. We just love it. 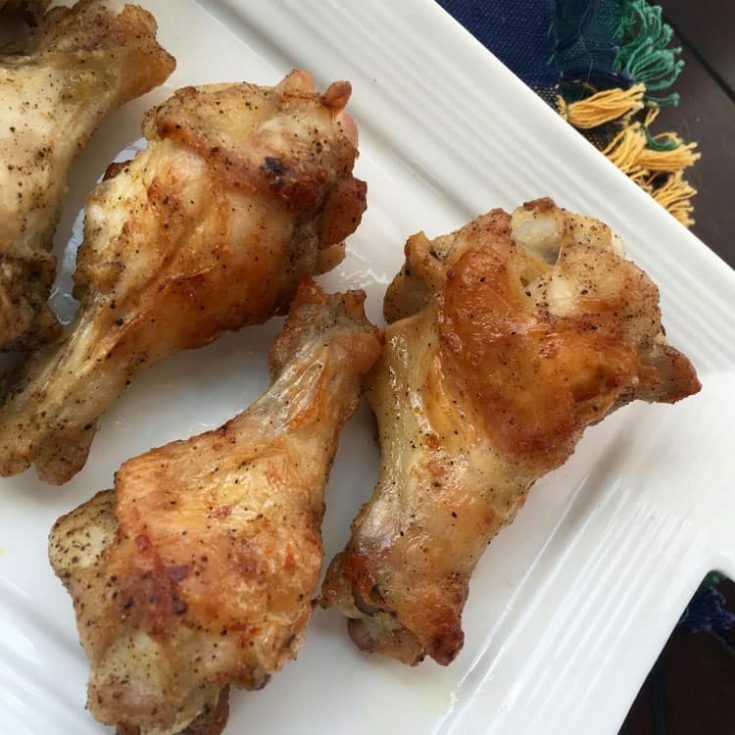 These spicy baked chicken wings are perfect for game day or anytime you need to whip up a casual, yet delicious, appetizer. 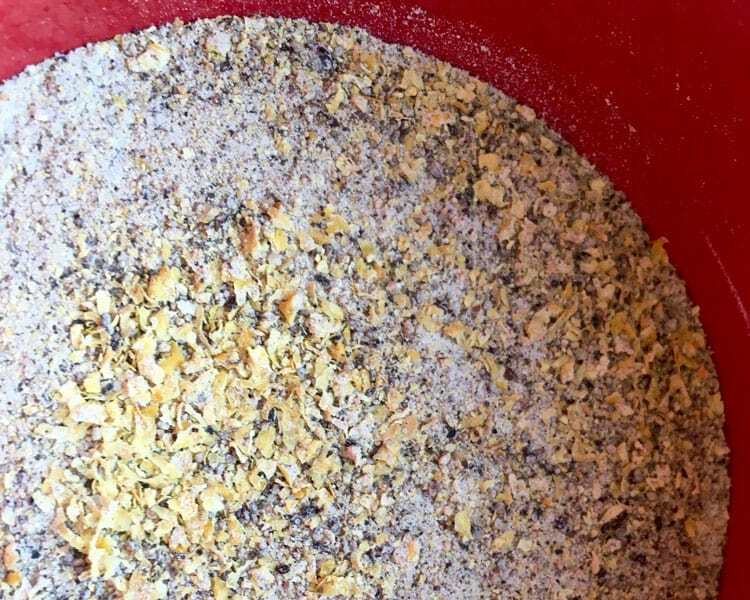 Making your own homemade flavored seasonings is easy. However, finding the perfect balance of flavors is more of an art than a science, because individual tastes vary so widely. The key to these chicken wings lies the flavor, and you can’t go wrong with the lemon and pepper combination. The proportions shared here offer a safe starting point. The whole black peppercorns impart a BOLD flavor to this seasoning, so it’s best to start with a small amount and adjust upwards until you find the level of heat you prefer. Once you do, you can create larger batches of this seasoning and store the remaining amounts in an airtight container for several months. We love whole black peppercorns on steak as well as chicken. The flavor is just so amazing. It’s a whole other world to traditional ground pepper. 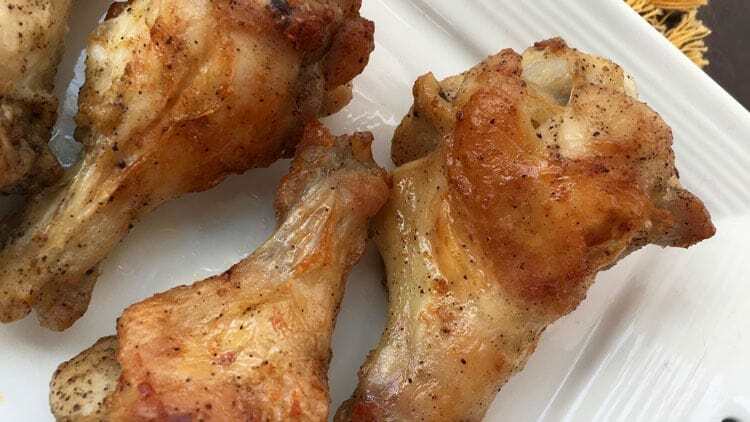 Flavorful Lemon Pepper Baked Chicken Wings recipe is easy to prepare and delicious to enjoy for an evening meal. Position oven rack to center position and preheat oven to warm (lowest setting). Line a large rimmed baking sheet with parchment paper and set aside. To prepare the lemon-pepper seasoning, wash the lemons and pat dry. Remove zest from each lemon with a microplane. While doing so, collect as much of the flavorful yellow outer layer as possible, while avoiding the more bitter white layer below. Spread the zest in a thin layer on the parchment paper and place in the oven. After 20 minutes, remove pan from oven and shake to make sure zest is drying evenly. Return to oven until thoroughly dried, approximately 25-30 minutes. Remove dried lemon zest from the oven and increase oven temperature to 425°F. Add dried lemon zest to spice grinder or food processor along with salt and black peppercorns. Grind ingredients until desired consistency is reached. Taste and adjust ratio of salt and pepper as desired. In a large bowl, combine chicken wings with olive oil and 1 - 2 tablespoons of lemon-pepper seasoning and toss until evenly coated. Arrange seasoned chicken wings in a single layer on rimmed baking sheet lined with parchment paper. Do not overcrowd. Place baking sheet on center rack of preheated oven and bake for 20-25 minutes. Remove baking sheet from oven and turn each wing to ensure they cook evenly on all sides. Return to oven and bake for another 20-25 minutes, or until wings are browned and crispy. Remove from oven and serve immediately with sliced celery and blue cheese or ranch dressing, if desired.